John Langford has been with Hope For The Warriors since October 2017, and currently serves as the Senior Director of Strategic Partnerships and Transition. In addition to the cultivation and management of strategic corporate partnerships, John oversees the full suite of Transition programs, including veteran employment support, spouse and caregiver scholarships, and Transition Critical Support, which fills critical gaps in services, often financial, that many service members experience during their transition from the military. Additionally, John provides guidance and oversight over two unique and impactful programs called A Warrior’s Wish and Drive For Hope. Hope’s programs are developed and delivered under the construct of a Well Being Model, which focuses on a holistic, person-centered approach. John is responsible for ensuring all Transition programs are aligned and in synergy with the rest of the program areas under Clinical Health and Wellness and Sports and Recreation. This alignment allows Hope to deliver full wrap-around services to our service members, veterans and their families as part of our comprehensive case management. John has over 30 years’ experience in leadership, strategic planning and organizational change management. As an F-18D Hornet Weapons and Sensors Officer, John served in a Marine Corps uniform for 23 years before retiring in 2009. 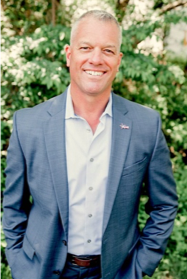 He completed multiple operational and combat deployments and brings with him an extensive background in veteran service support through sports, wellness, and career transition. John currently resides in northern Virginia, and he and his wife have five adult children.